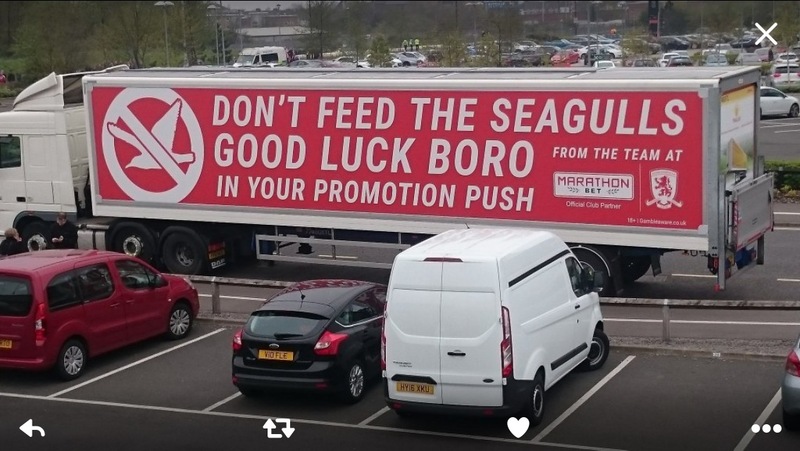 Bookmakers Marathon Bet, also know as Panbet, scored an Albion own goal on Saturday as the firm displayed a huge advertisement supporting Brighton and Hove Albion’s promotion rivals Middlesbrough. Marathon Bet has its head office in Davigdor Road, Hove. The company does, however, have sponsorship deals with Liverpool, Manchester United and Boro. Many homes, businesses and schools in Brighton and Hove were flying Albion flags and banners in the build up to the match as the club encouraged the whole county to go blue and white. The betting company has been in existence since 1997. It specialises in the Asian and Russian markets. It has been at its Hove base for a number of years.